“Ohhh. Mamma Mia!” Mario, did you lose your hat again? We told you, this is the last time that we will give you a new one, next time you are going to have to find it or glue this one to your head! Jeez, we told the guy 100 times that he needs to keep track of his things, one day he loses his hat, and the next day he may very well misplace his Mario Kart! Anyways, back to describing this awesome hat! So, your child wants to be a plumber who rescues a beautiful princess, who doesn’t want to do that? All we ask is that you make sure that he's properly equipped, starting with this Child Mario Hat! It will help your little one accomplish the quest, while protecting his noggin. 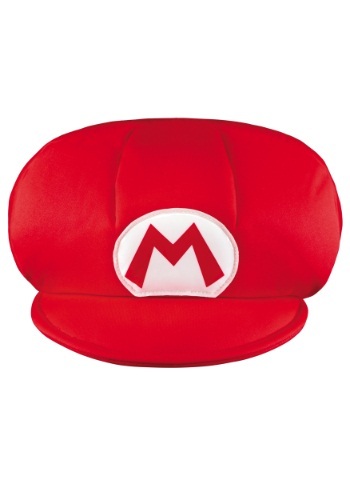 However, if your child is anything like Mario, make sure he doesn’t misplace his hat too much! It's really a nice hat, but I only gave it 4 stars because the hat does not look like is for a child. It is to big, not sure if they made a mistake and they mailed me an adult hat rather then the child one. So I am going to have to get it fix.